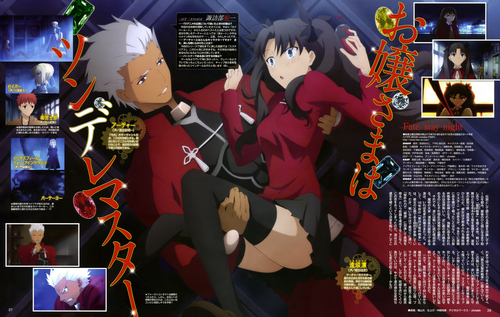 I thought I’d seen all the official art and magazine articles about Unlimited Blade Works, but this full-pager appeared in the October 2014 issue of Animedia. It’s the most unreasonably-adorable picture of my two favourite characters I’ve ever seen! It’s on Netflix now, so you have even less of an excuse to have not seen it. I reviewed it in 2016, if you need a refresher.